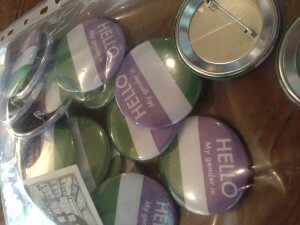 Would you like to be involved in a Trans Day of Remembrance event in Melbourne? 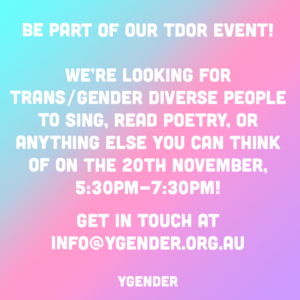 Ygender, a peer led social support and advocacy group for trans/gender diverse young people, are inviting you to be a part of their Transgender Day of Remembrance (TDOR) 2016 event! 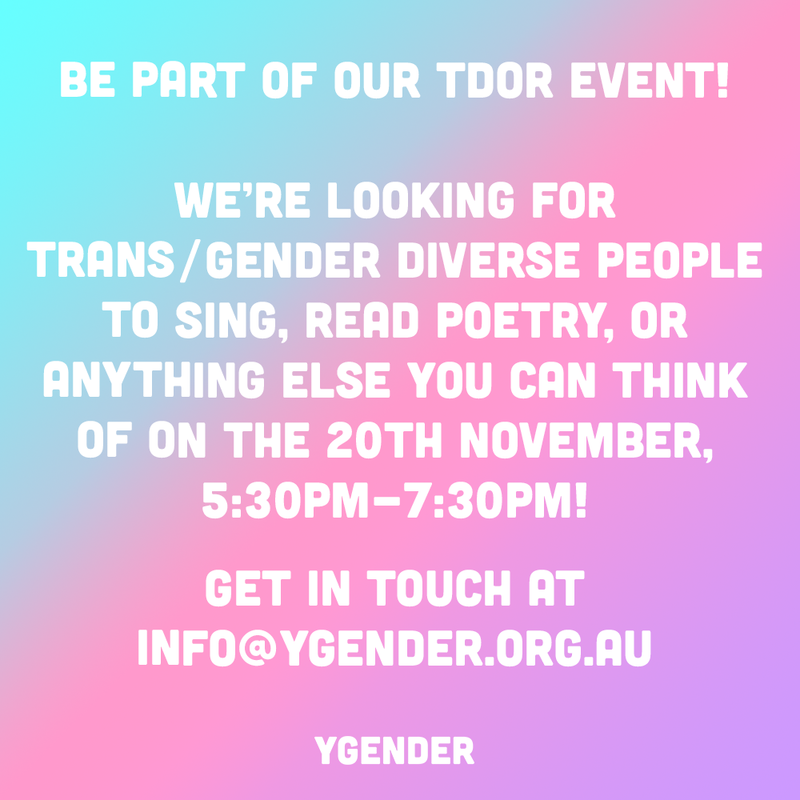 They’re looking for trans/gender diverse people to sing, read poetry, or anything else you can think of on the 20th November, 5:30pm-7:30pm! 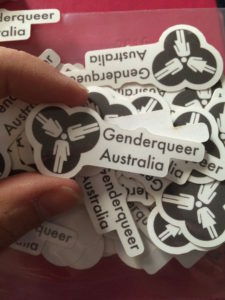 Get in touch at info@ygender.org.au or visit Ygender’s website to find out more about what they provide.